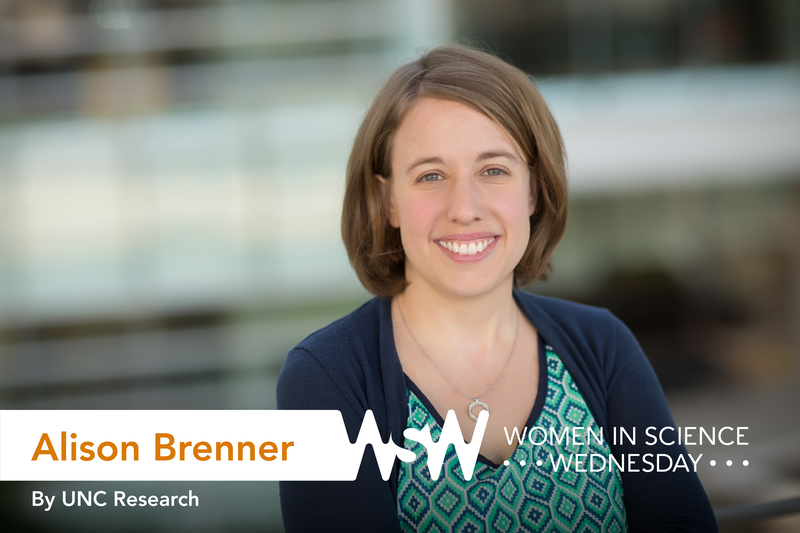 Alison Brenner is the associate program director for the Carolina Cancer Screening Initiative within the UNC Linberger Cancer Care Center, and is also a health services researcher at the Cecil G. Sheps Center for Health Services Research. Her research focuses on how patients and healthcare providers make decisions about cancer screening. Astronaut or marine biologist. I watched “Star Trek” as a kid and loved the night sky. My room was covered — and I mean covered — in glow-in-the dark stars and moons. Around age 7, I began to learn about the creatures in the water — slimy seaweeds, the barnacles that cut your feet, the plankton and jellyfish that glow in the August evening waters, and all of the little fiddler grabs marching around the marshes with their one giant claw, trying to be intimidating. I was fascinated. Share the pivotal moment in your life that helped you choose research as a career path. My dad is a basic scientist, and every summer we’d go to Woods Hole, Massachusetts, where he studied Atlantic squid. Science is a way of life in Woods Hole. In this town of barely 1,000 people, there are two major research institutes — the Woods Hole Oceanographic Institute and the Marine Biological Laboratory — as well as branches of the National Oceanic and Atmospheric Administration and the National Fisheries. One time when I was 9, I was sitting with a friend on the stoop of her house, observing a squid (I can’t remember why we had a squid). We knew how to dissect the squid, so we decided to do so on the concrete stoop. The most fun thing about squid dissection is that if you carefully remove the ink sac and the proto-backbone (called the pen, because it is shaped like a quill), you can write with it. We successfully extracted the ink sac and drew pictures with the squid ink! I think I knew then that I was destined for something in science. I ended up choosing public health when I realized that I enjoyed research subjects that talked back to me! What’s an interesting thing that’s happened during your research? Well, much of my work is in improving screening for colorectal cancer. One of the screening tests requires a small stool sample either in a vial or on a card. Sometimes study participants are … generous. Don’t doubt your ideas — and use what you know of the world around you to come up with new ones. Never be afraid to be wrong or to fail. Everyone fails and everyone is wrong sometimes. Just be sure to learn something every time. UNC Research is proud of every scientist on this campus, but we are especially excited to promote our female researchers in 2017. Each week this year, we will publish a short Q&A feature on one of them — whether she is an undergrad, PhD candidate, or full professor. Please click here to make a recommendation.